very high. Whatever your age may be, you must have great knowledge about English language. You must know how to write, read and speak English. A person who doesn’t know anything about English language is considered dull. So whatever your area may be, you must know English well. There are many people who don’t know much about English but there are very curious to learn it perfectly. So in this post I am highlighting top 10 websites to learn English online for free, but before this lets have a look that how English is beneficial for us? 1. First is you are employed somewhere then it is necessary to speak English because it will increase your reputation in that firm. 2. If you are a student and you know English very well then it will also increase your reputation in front of your teachers and friends. 3. In general also, knowledge of English is very necessary because most of the things in this world are in English, even in movies and serials people speak English. So if you want to enjoy them completely then you must have the knowledge of English. Now let’s have a look on top 10 websites to learn English online for free. 1. Examenglish: - This is one of the best website for learning English because here you can grab the knowledge of English without paying money. This is a very useful website when you are trying to learn English for the first time i.e. as your second language. Free contents are offered by this website by which user can learn English easily. 2. BBC English Teaching program: - This is also among the best English teaching program operated by BBC. This wonderful website helps you to learn English easily. This site also offers free English learning material. If you are making good use of this material then you can become professional in English without paying any money in various English classes. 3. ESLgold: - In this website, internet users can learn English by accessing free and paid content. Like other website this site also provides you study material and helps you to enhance your listening capacity, writing and speaking skills, vocabulary etc. If you are using its paid version then you will enjoy some additional benefits in learning English. 4. 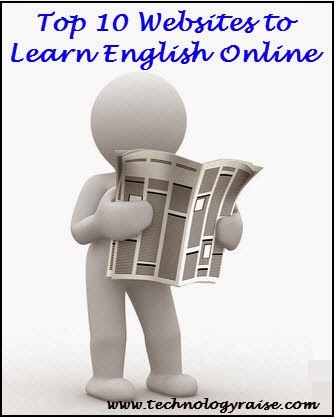 Learn English: - It is also free English learning website which provides free contents from which you can increase your English knowledge effectively. Here free chartrooms service is also provided where user can improve English skills lively. Many other free features are also available like English teachers, quizzes and games, English tests, vocabulary, magazines, English grammar etc. 5. English Leap: - This amazing website is very useful for Indian people. This is because with the help of this website you can learn English through any Indian language. Three study plans are offered by this website i.e. free plan, self learning plan and pro plan including online classes. Free plans also contain great learning stuff and it can be very useful to improve your fluency. 6. Elllo: - This is also a very useful website to grab the knowledge of English. It also provides lots of useful stuff related to English. But the main drawback of this website if that, it only provides free membership for the first month but after that you have to pay some money for continuing your membership. Other than this it is great website for learning English. 7. Lang 8:- This websites provide you an amazing platform for learning different foreign language for free. So apart from English language you can also grab the knowledge about many other famous foreign languages. The main advantage is that everything is provide free of cost. 8. Live mocha: - This website was started in 2007 and within a time period of few years, this website has become one of the most famous website for learning English language. Initially you have to make an account here and after that enjoy the free stuff available on this website. 9. Busuu: - This is a very famous social network for learning foreign languages very easily. Currently this website supports 12 major foreign languages. This website was started in 2008 and till than it has more than 12 million active registered users. It is also one of the great places to learn English online for free. 10 Britishcouncil: - A free English teaching program is provided by British Council so that internet users can be helped. It offers different free materials like games, quizzes, stories, grammar exercises, listening programs etc. Great list! I will definitely recommend this list to some of my friends who really need to learn English.